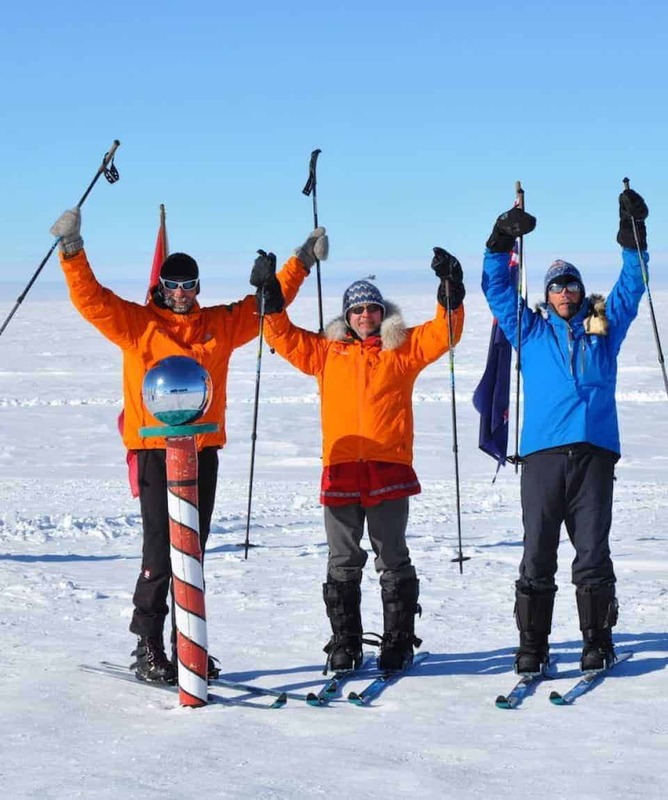 A Short But Unforgettable South Pole Ski Adventure to The Bottom Of The World. 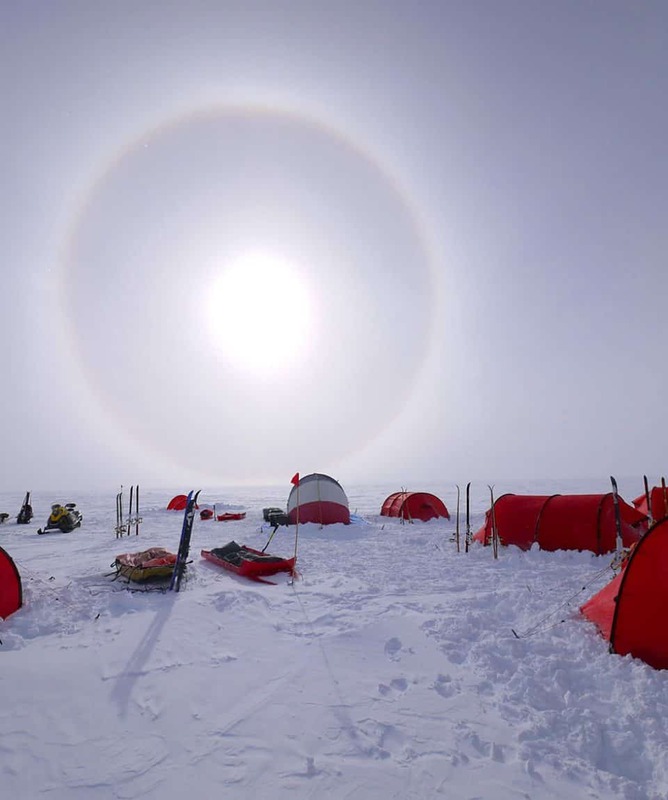 Travel By Ski To The South Pole & Discover Antarctica’s Vast Interior. An Epic Expedition. 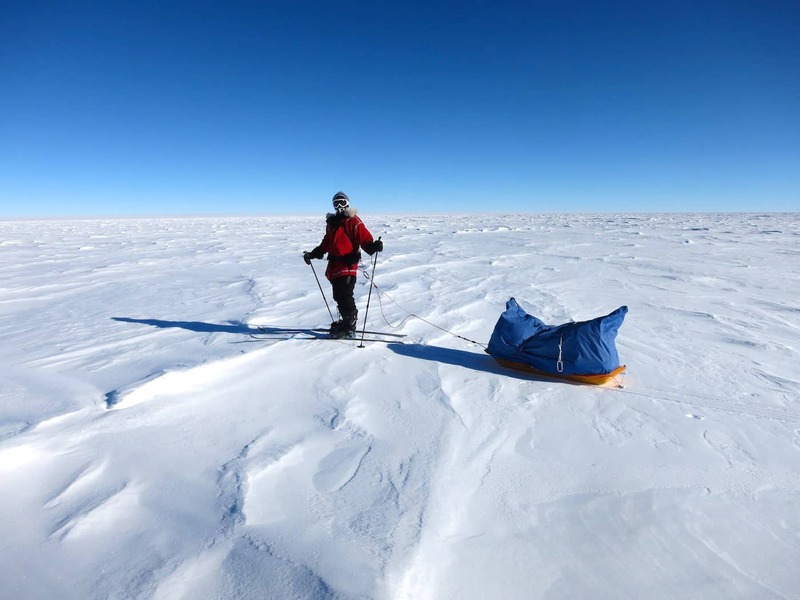 All about the South Pole Expedition, Ski The Last Degree, 16 Days, Polar Expedition. 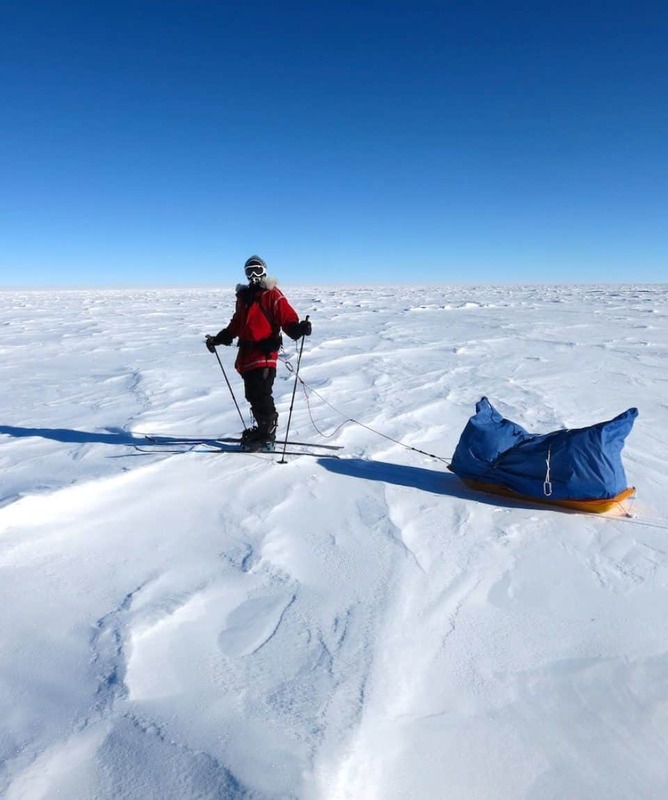 One of the ultimate adventures on earth has to be Antarctica’s South Pole Ski the Last Degree expedition. 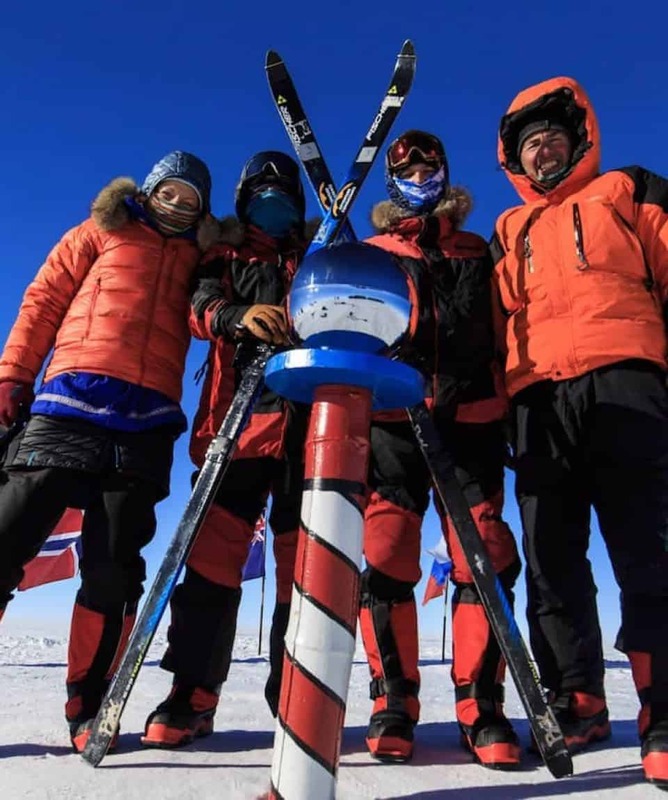 This incredible journey involves skiing the final ten days of the trek to the South Pole, using sleds to haul our provisions. You will fly over the vast white interior of the continent to reach the starting point at 89º South. 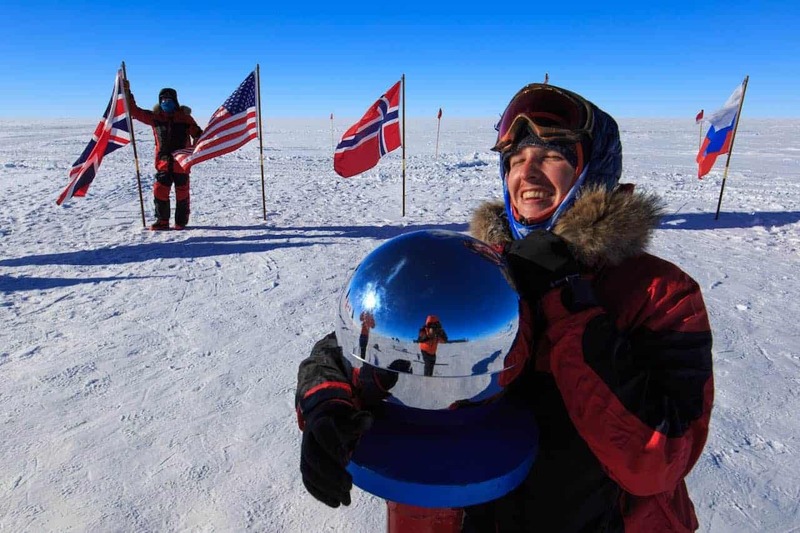 Our arrival into the South Pole itself is often an emotion-generating moment, signifying the transition from the austere beauty of the great white south to the imminent comforts of civilisation and homeward travel about to commence. 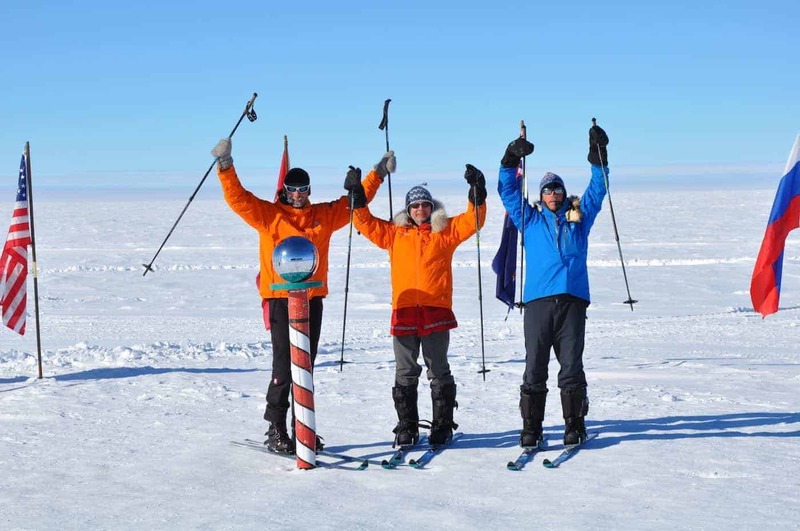 Join us on our exceptional South Pole Ski expeditions. 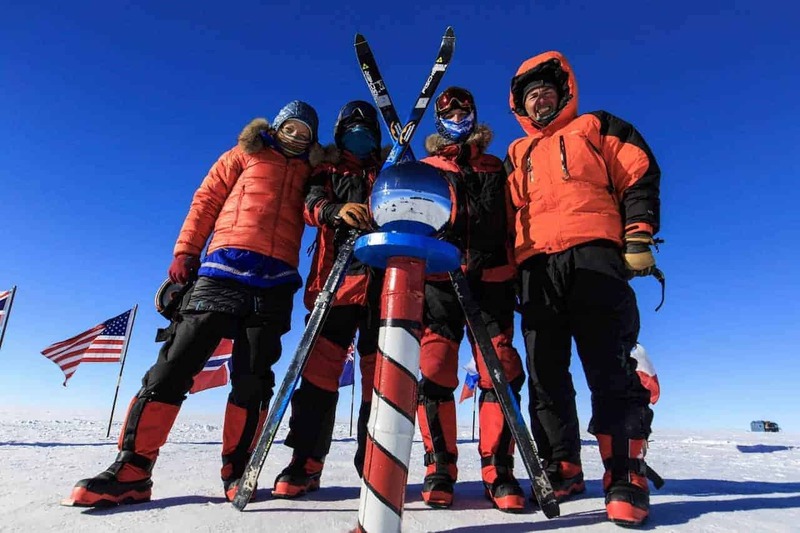 The South Pole Ski the Last Degree Expedition is a fabulous expedition for those who would like to ski to the South Pole without the time constraints of the full South Pole expedition. If you are someone who loves being in the wildest environments on earth, then this expedition is a ‘must do’ adventure of a lifetime. 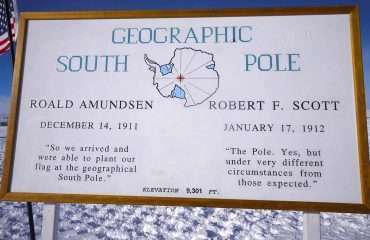 The Last Degree is effectively the process of making the journey over the last latitude of distance to the South Pole from 89° South. The actual distance is 60 nautical miles being 111km or 69 miles. We fly to the start point at 89° South to begin the trek. The trip initiates in Chile and involves a flight by jet into Antarctica’s interior, followed by a fixed wing (Twin Otter) flight to the start point of the trek. 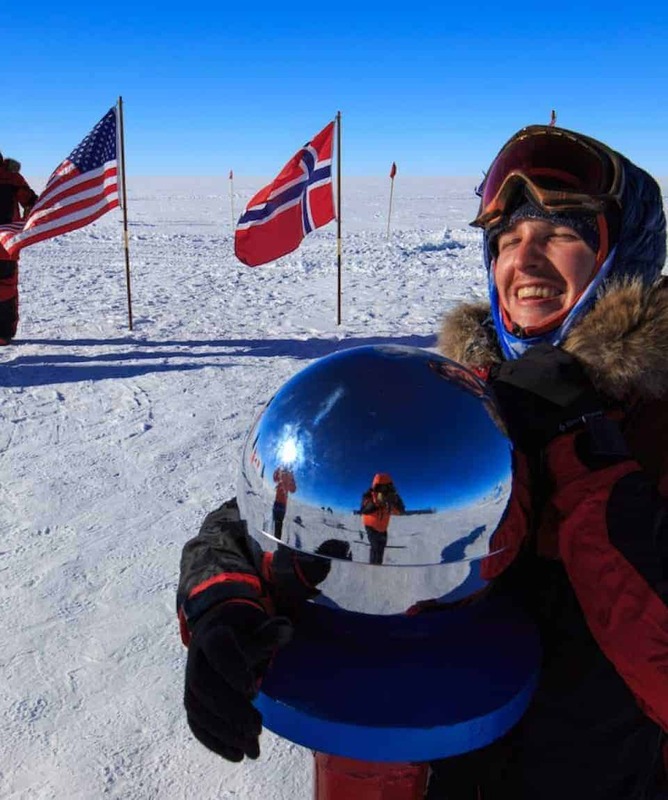 The South Pole itself is at an elevation of 2835m/9,301’ above sea level but due to the very cold air mass, has an effective air pressure elevation much higher than this. 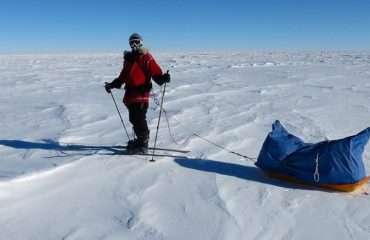 For this reason, we need to acclimatise to the thin air and the exertions we expect on the trek to the Pole. 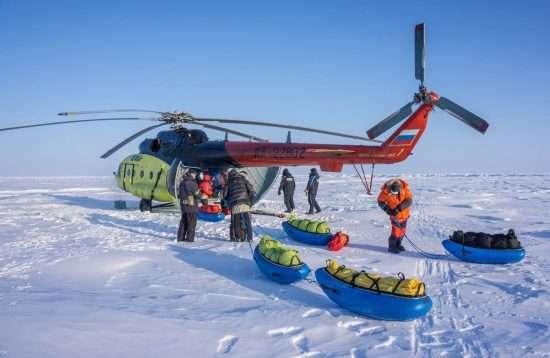 Training is provided on polar survival and travel techniques once we arrive in Antarctica and prior to the expedition getting underway. Once we have flown to the start point of the trek, we take time to adjust to the cold and the thin air as well as becoming familiar with the rigours of expedition life. 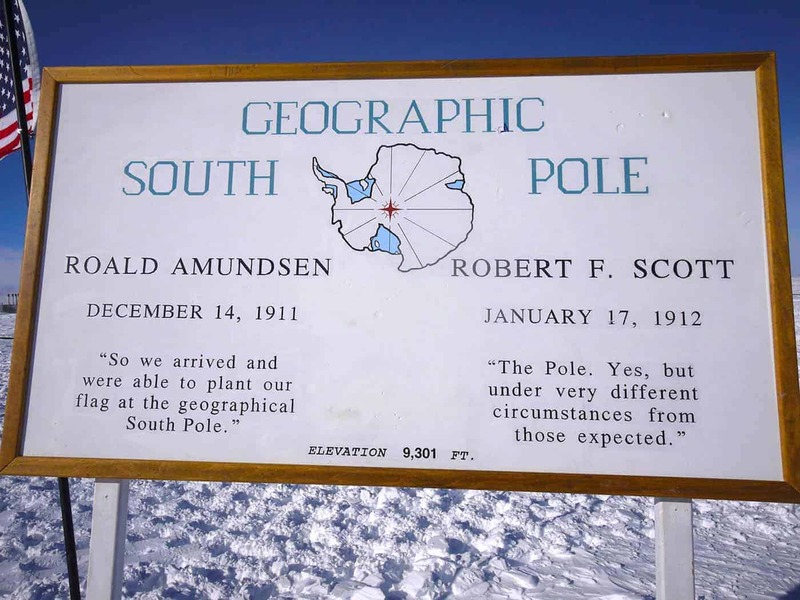 The group meets in Punta Arenas, Chile at the tip of South America for briefings and gear checks, prior to flying into the interior of Antarctica. 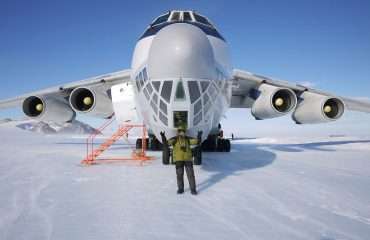 From Punta Arenas, we fly by Ilyushin 76 aircraft to the ALE base camp at Union Glacier. Here the aircraft makes a wheeled landing on a natural blue-ice runway. 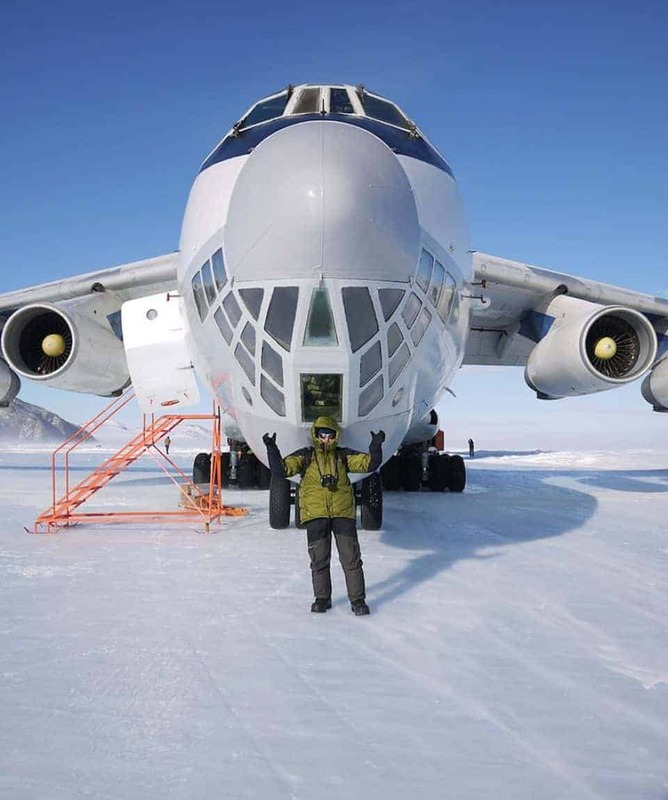 Our flights to Antarctica are operated by Antarctic Logistics (ALE) who are the sole providers of aircraft access into the region. 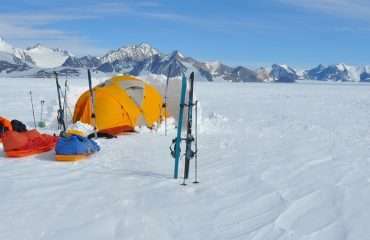 We have worked with them since their inception in the early 1980s when expedition company founder Rob Hall provided them assistance establishing the Vinson Massif routes and camps. 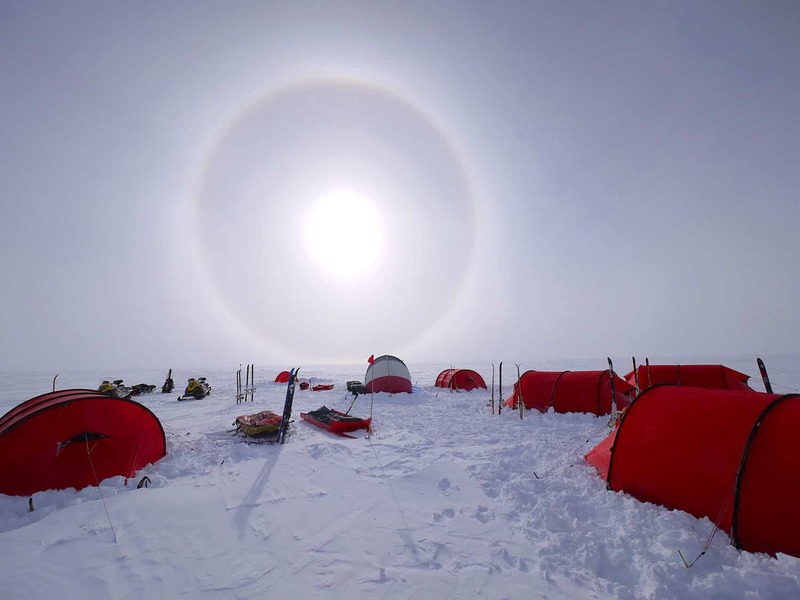 The Union Glacier base camp is situated at 80 degrees south and is a small collection of tents. The dining and kitchen tent have wooden floors and are heated with a kerosene stove. We sleep overnight in our own mountain tents but gather for meals in the warmth of the dining tent. 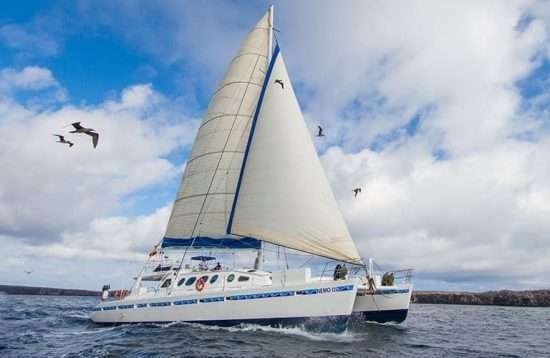 Your guides will hold a briefing on the logistics and safety protocols of the upcoming adventure and cover all aspects of the trip not already addressed in the initial briefing held in Punta Arenas. We pay special attention to the environmental considerations required to leave the continent with as minimal an impact as possible. 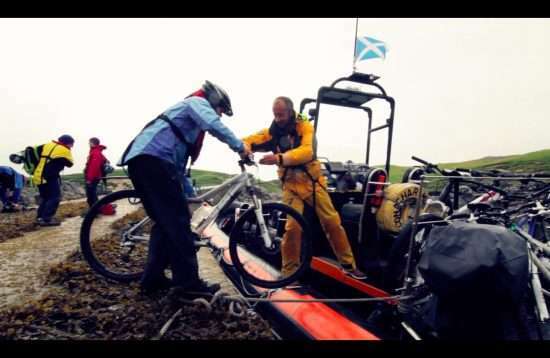 Following the briefing, we will sort sufficient equipment for an overnight practice tour to consolidate the skills needed for the trip itself. This is an ideal time to sort out last minute equipment queries and to familiarise yourself with the environment, and how we best manage ourselves when we are out in it. 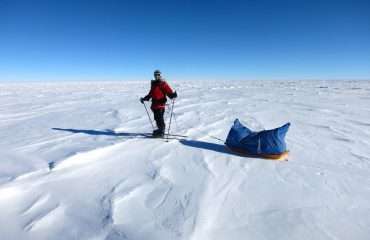 Following our tour, we will finalise packing of the group supplies and equipment to divide this amongst the team onto sleds. We must then wait for sufficiently fine weather to start the long flight to the beginning of the trek. Conditions need to be clear and calm along the route with good visibility for landing and taking off. There can be delays of several days and sometimes more, so it is vital you are prepared for this eventuality and that you can relax at these times. 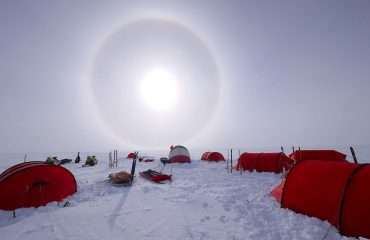 Antarctica is not predictable or tameable and no amount of enthusiasm or pressure to get started will change her. Once the weather forecasters give us the green light, we load into the ski-equipped Twin Otter aircraft for the six-hour flight south into the heart of Antarctica. 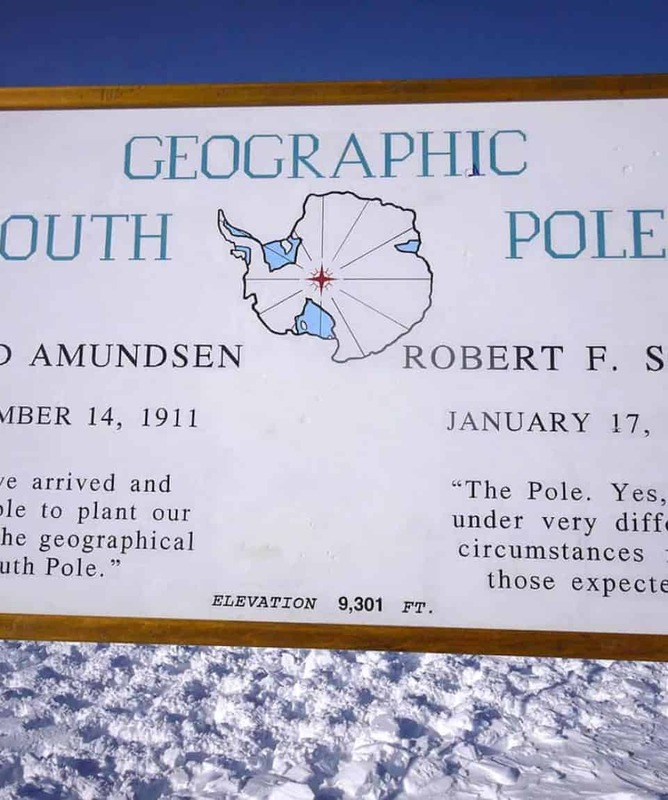 Along the way, we stop at the Thiel Mountains to refuel the aircraft from a specially placed fuel cache, and then continue our flight the remainder of the distance to 89° South. Your guides will train you in the techniques and skills to enjoy the adventure. They are there to guide you and to educate you in the requisite skills. It is however up to you to absorb that training and to follow their lead and instructions. Failing to do so, will likely lead to serious consequences. We are after all, in one of the most extreme habitats on earth. Your survival and well-being require you to manage yourself responsibly and to be extremely vigilant in your personal self-care. It is up to you to regulate factors such as your food and hydration levels to ensure you have sufficient energy to complete the journey. There will be sufficient food and fluids available for you to ingest, but you must discipline yourself to eat and drink as insufficient intake can lead to a deteriorating condition. You must take extra care to not remove gloves and other protective layers at the wrong time, as this may lead to frostbite when exposed to the elements. Your feet will also require diligent attention to ensure you do not get blisters. You will have to pay particular care to not allow a single blister to occur as they will likely get worse rather than better as the trip progresses. A seemingly small oversight by you in looking after yourself can lead to you failing to complete the trip or suffering personal damage. These considerations consume us as we travel and our responsibility to the group is to ensure we stay in good shape to continue on towards the objective. You also have social responsibilities to the other team members. There may be stresses on the journey that you are not familiar with and it is important that you join the expedition on the understanding that you will contribute to the emotional and physical well being of the other team members. Conviviality and respect for others is tantamount to a successful expedition outcome. As we will be arriving high onto the polar plateau, we will encounter effects of altitude that may make us feel a little weak, to begin with. 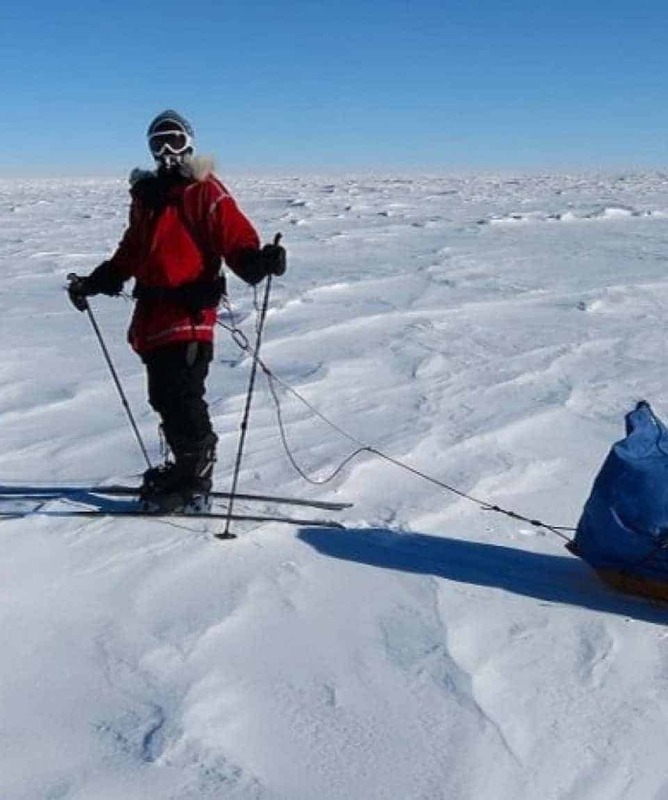 Everyone will be towing a sled loaded with their personal and expedition equipment, and we will have a short day to stretch our legs then establish our first camp. We will begin slowly on the expedition to bring everyone up to an optimum pace for the remainder of the journey. 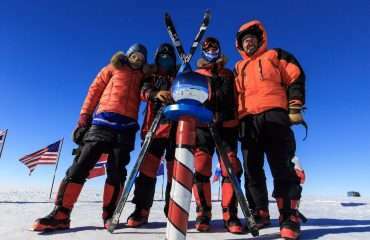 There will be no rushing as it is vital that we avoid injury and burnout so that we have the stamina to finish the expedition. 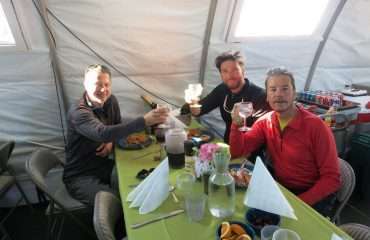 Each day we will awake around 7.30am for breakfast and hydration before we begin to break camp and pack our belongings. We travel for around 8 hours every day with a break every hour for food and drink. Everybody travels together and the pace will be slow, steady and not hurried. The objective is to maintain optimum body temperature; too cold and we burn too much energy; whilst too hot will cause sweating that promotes hypothermia when you stop, in addition to dehydration issues. At the day’s end, you will have travelled 10- 15km (6-10 miles). On arrival at our campsite, the group will set up tents and build protective snow walls and contribute to snow melting and meal preparations. Team members will share tents in either 2 or 3 person tents and each tent ‘team’ will have their own stove for cooking and snow melting. Everyone is involved and working to get the camp ready for habitation. The bonus is that you will stay warm by helping out! Once inside your tent, you will be sheltered from the wind and the 24-hour daylight will enable clothes to be dried in the midnight sun. 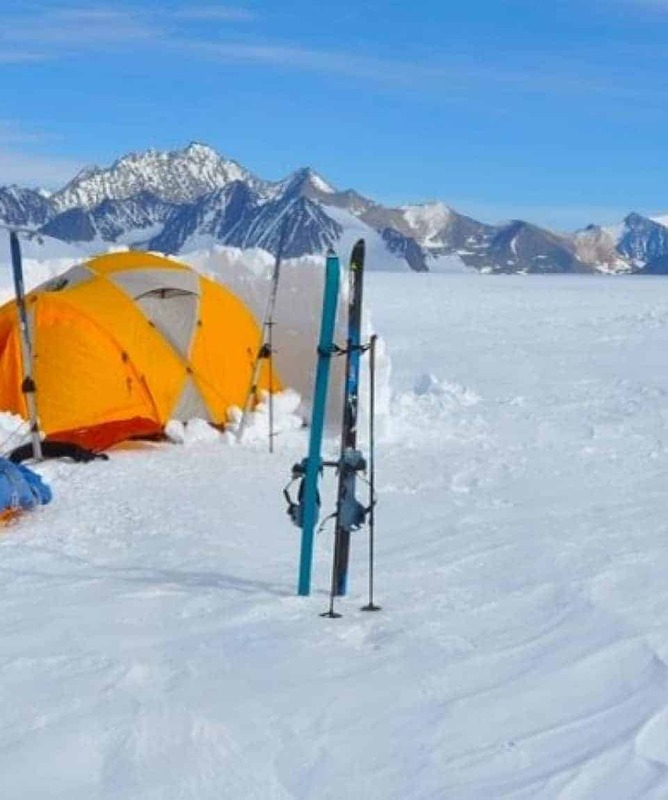 To partake in the Ski the Last Degree Expedition, you need to be physically fit, have strong mental stamina and be capable of strenuous exercise at altitude for several days duration. You don’t necessarily need to be an experienced skier as there is little technical requirement on the flat, however, the days will be physical and you must train well before joining to ensure you have an enjoyable trip. 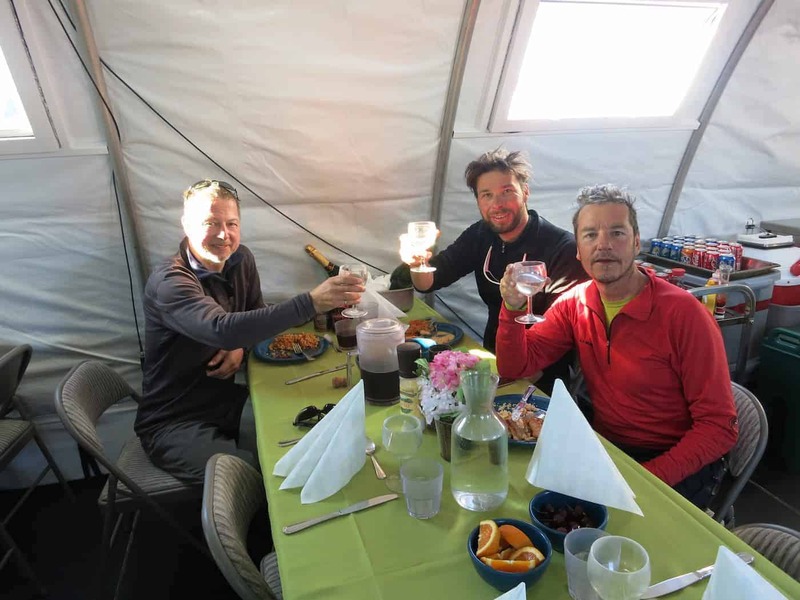 Expedition members can expect to be exerting themselves for about eight hours per day with another hour establishing camp and another hour preparing food and drinks. 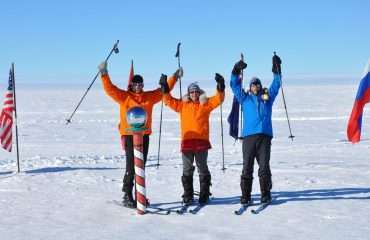 The expedition members will gather at Punta Arenas in Chile. Regular daily flights on LAN Chile and Ladeco Airlines connect with Santiago and other points north. As the group gear must be weighed and loaded at least 1 day prior to departure to Union Glacier, you are advised to schedule your arrival in Punta Arenas accordingly. Our trip dates take account of this, with an arrival on 15 December / 31 December timed to allow for preparation before the flight to Union Glacier on 18 December / January 3. 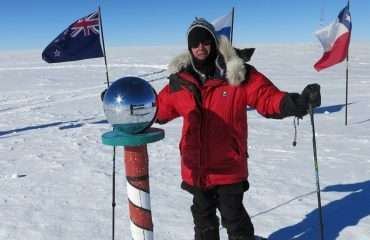 Every effort will be made to ensure the expedition itinerary is adhered to, but Antarctica is the most remote and isolated continent on earth. 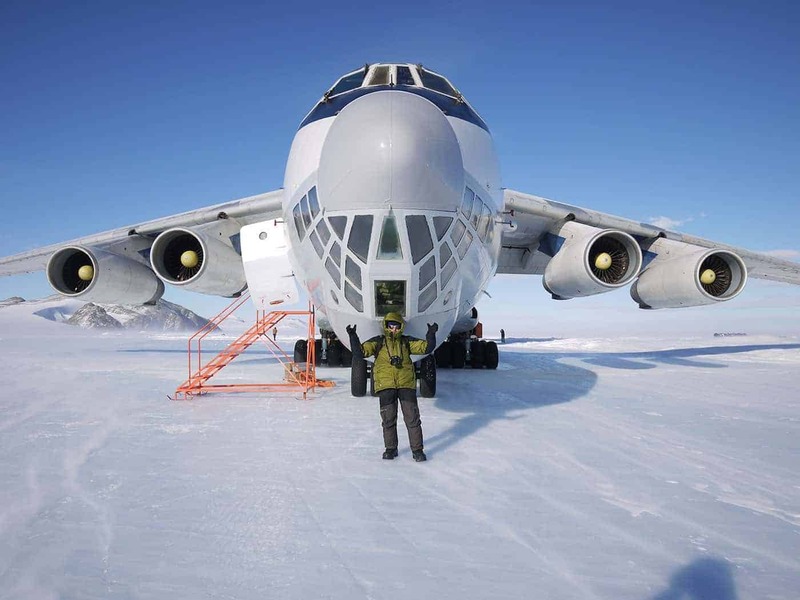 The above program is subject to change as it may be affected by weather conditions, aircraft serviceability and other factors out of the hands of the expedition operator or its staff and contractors. 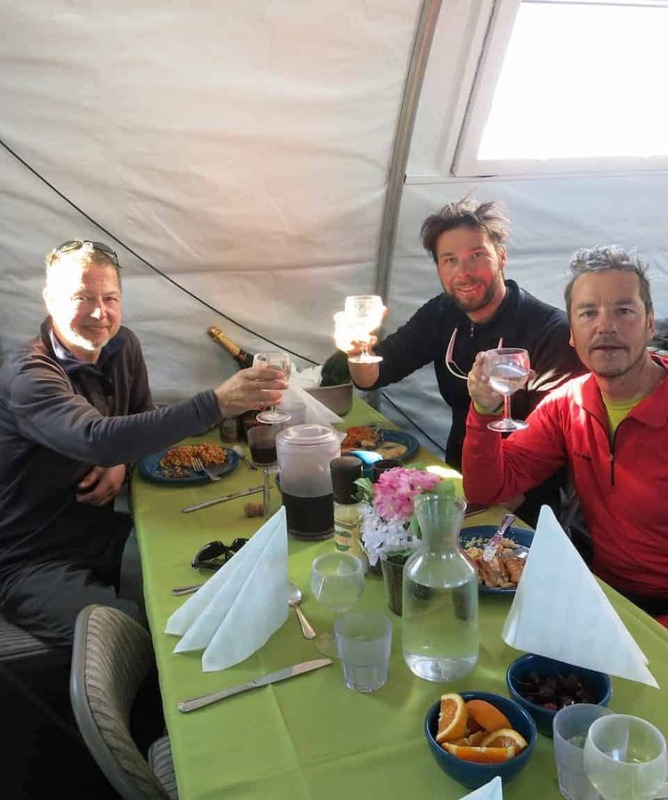 While every effort is made to ensure the expedition is run to schedule, acceptance onto the expedition is based on your acceptance of those conditions. Having stated that, our track record in Antarctica is impeccable but it is a sign of our respect of Antarctica’s environmental omnipotence that we alert you to those possibilities. We stay in a small and modest hotel in central Punta Arenas, which is a good hub for the team members while we await our flight to the ‘ice’. It is only 2-3 stars but has a relaxed local atmosphere and the staff are very friendly. Let us know if you’d like us to book a room for you. If you would prefer a greater degree of comfort during your stay in Punta, we can arrange this for you and please advise us at the time of booking of your preference. Meals and hotel expenses in Punta Arenas are not included in the trip cost. Expedition members must secure their own visa for multiple-entry into Chile. While Chile claims part of the Antarctic Continent as its sovereignty, it requires that we check through immigration when leaving for and returning from Antarctica, thus a multi-entry visa is required.